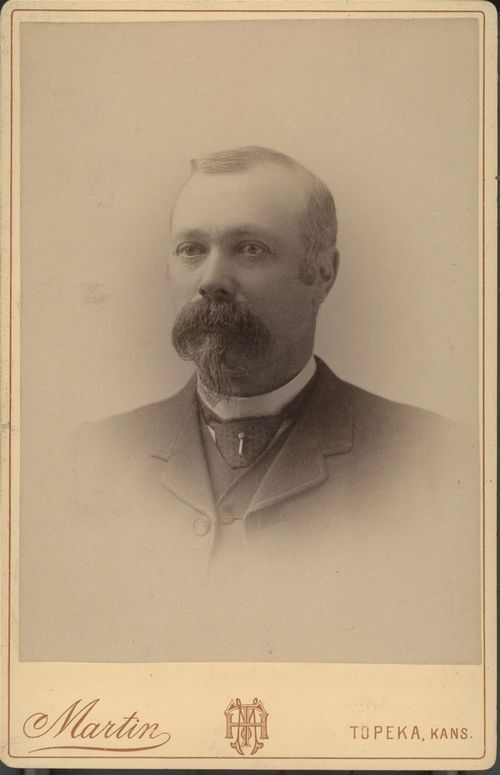 This cabinet card shows William Wallace Cranston, (1838-1907). Cranston a Civil War captain served with Company A of the sixty-sixth regiment of the Ohio Volunteer Infantry. He fought in the battles of Chickamauga, Antietam, and Chancellorsville. Cranston was awarded the Congressional Medal of Honor for carrying a wounded Confederate officer within the enemy's line. After the war, he eventually moved to Parsons, Kansas. In 1888, Cranston was elected to the Kansa House of Representatives from the 28th District,(1889-91).